Houses Gardens People: Design News! NEW THIS FALL . 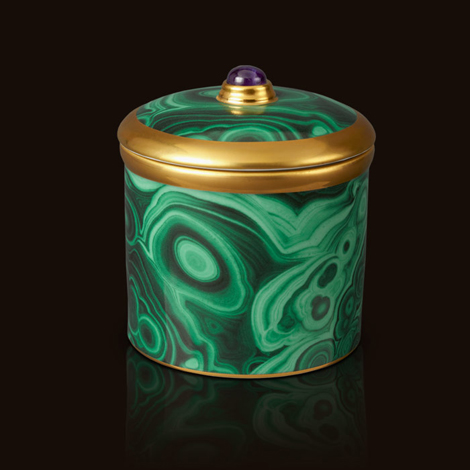 . . Laura Lee Clark has just picked up the gorgeous L'Objet line, which includes a new candle encased in faux malachite earthenware, trimmed in 24K gold, with a semi-precious amethyst quartz cabochon on the lid. The scents are Pink Champagne or Vetiver d'Orient, and best of all, it's $125. 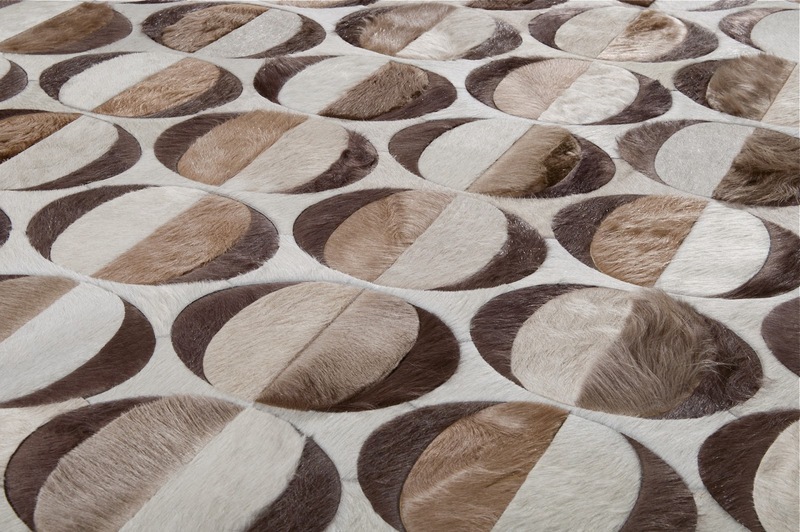 Kyle Bunting, whose rugs are carried in Texas at David Sutherland Showroom, collaborated with interior designer Amy Lau to create his new collection. Lau was inspired, she says, by Op Art and Italian architect Gio Ponti's patterned tiles from the Hotel Parco Dei Principi in Rome. Trim, tassels, borders, braids, gimp, and fringes. Some of the most beautiful passementerie in the world is produced by Samuel & Sons, and it's new to Culp Associates in Dallas and Houston. 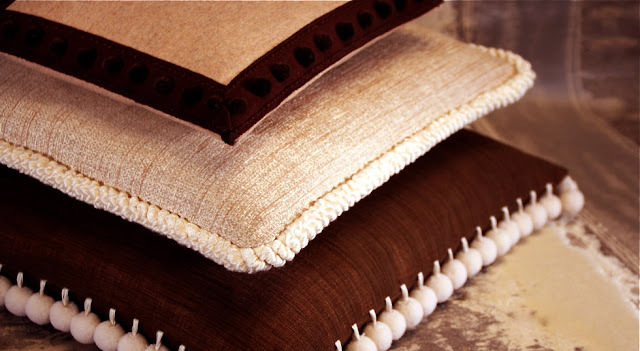 Some of their collections include materials such as hand-blown glass, cultured pearls, precious gems and exotic woods, in addition to silk, wool, and grass. 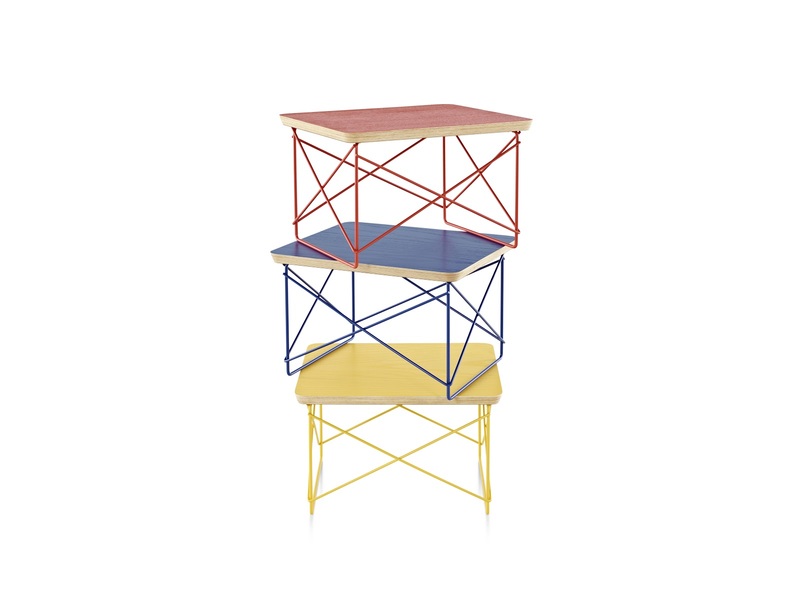 The Eames Wire Base Low Table was just announced as Herman Miller's Select Program Edition for 2012. Each year since 2008, the company chooses a classic design to reinterpret, and this year the LTR tables are being produced in three special edition colors (cobalt, red-orange, and yellow-gold) which were Ray Eames' favorite colors, and those used on the exterior panels of Case Study House #8. They're going on sale mid-October for a steal at $294 each, with a limited production through Spring 2013. Buy them at Design Within Reach.